This was my third year in a row attending this well organised festival. In fact, in terms of a review you could read my 2016 or 2015 review and that would cover most of what I would have to say for 2017. The volunteers remain excellent and the beer list is very impressive. This year they only offered half pint glasses (a very sensible idea) however I still would like to see thirds offered as a option. Every year I have attended I have been for the Saturday afternoon. This year it was far busier than in previous years; testament to the Festival’s good standing. 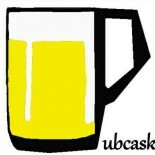 With the festival open from Wednesday a lot of the award winning and popular beers were long gone. Other than a Porter from Elephant School Brewery; I drank nothing else memorable. By 4pm on the Saturday there really wasn’t a lot of choice left. This is disappointing for the punter but great news for the festival. So Colchester remains a good Winter Ale Festival. If you’re lucky enough to be able to attend on a weekday you would have a truly outstanding experience beer wise. 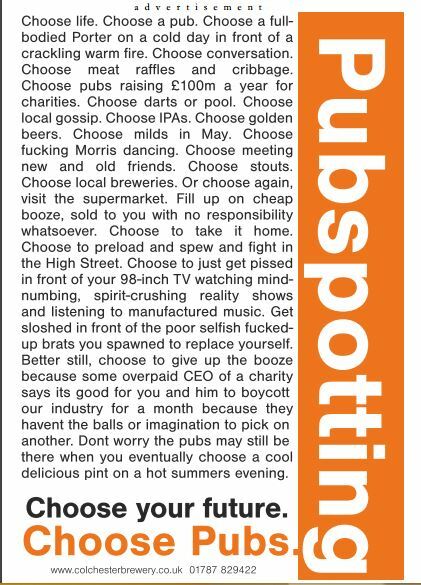 On an aside, this advert from Colchester Brewery appeared in the programme. On first glance you might think “Yeah that’s funny,” but when I thought more carefully about this it is clear that this sort of advert is not helpful or constructive to the cause of cask ale. Had they stopped at supermarkets they might have had a very provocative (as opposed to offensive) advert. 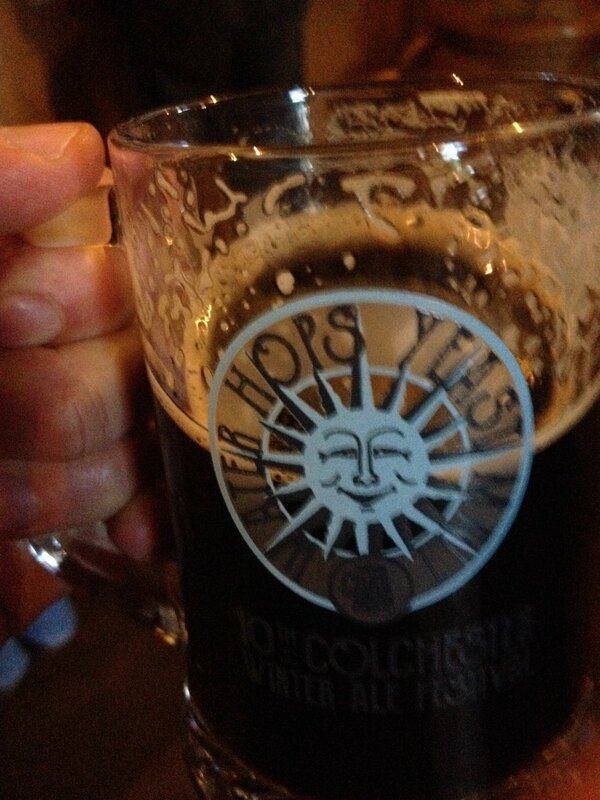 This entry was posted on February 13, 2017 by Chris Stone in Beers, Days Out and tagged ale, Beer, Beer Festival, Beers, CAMRA, colchester arts centre, Colchester Brewery, colchester winter ale festival, pubcask, Pubs, Real Ale, real ales.